Celebrate March with a Free-motion Quilting class! March is National Quilting Month. There are a lot of quilting and quilt-related activities, events and exhibits going on all over. Check with YLS (your local quilt shop) or your local museum for the scoop. I'll be doing my part by teaching one of my favorite classes—Intro to Free-motion Quilting—at several quilt shops in Tennessee. This is a beginner class (no free-motion quilting experience necessary) and students will be using their regular home sewing machines to do it. Do you have quilt tops piling up that need to be quilted? 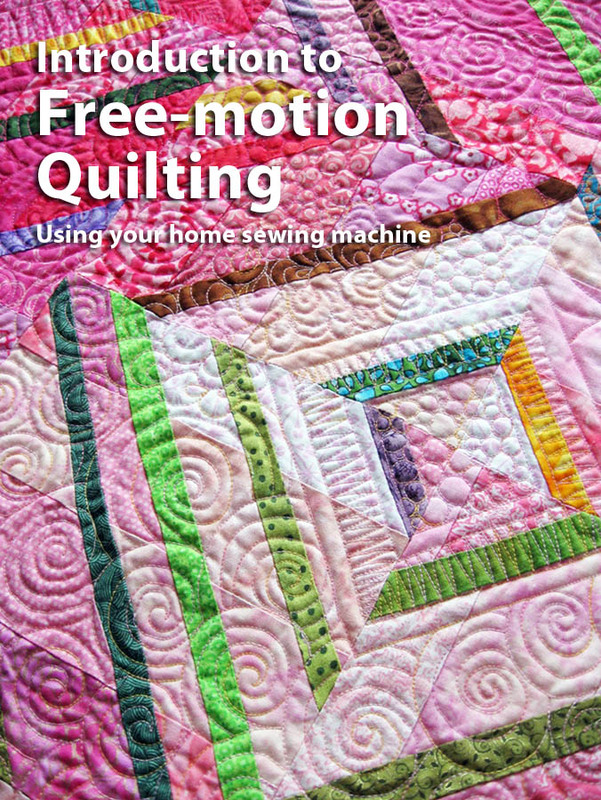 Are you intrigued by free-motion quilting patterns? Do you want to realize your design vision in the quilting? Do you want to have a fun day of learning, creating and sharing your passion for quilting with others? Do you have cabin fever from staying inside during all the crazy weather??? Don't be left out in the cold! Call these shops today and sign up. Check my class schedule for phone numbers. As part of the class, I'll have a Show and Tell of some of my work and we'll discuss designs, threads, backings, inspiration and any other free-motion question that comes up. Quilts and quiltmaking are metaphors for life, community, culture and the history of America. Quilts are beauty, works of art, political statements, memory objects and expressions of the quilt maker's thoughts and feelings. Listen to the trailer for "Why Quilts Matter: History, Art and Politics," a nine-part documentary hosted by Shelly Zegart, Executive Producer. March 21 is Worldwide Quilting Day. Share your story. Become part of the quilting community.